Emily and Meritt shared the pieces they turn to again and again when they need a lazy (but stylish) Sunday afternoon at home. From socks that are as adorable as they are comfy to to-die-for bath oils and scented candles, their picks will have you ready to close the blinds, slip into a robe, and indulge in some serious "me" time. "There's nothing we find more indulgent than treating yourself to a cosy Sunday at home," the stylists tell us. "From decadent bubble bath to cosy socks, here is our guide to doing absolutely nothing." Keep scrolling to see Emily and Meritt's picks for a perfectly cosy Sunday afternoon! 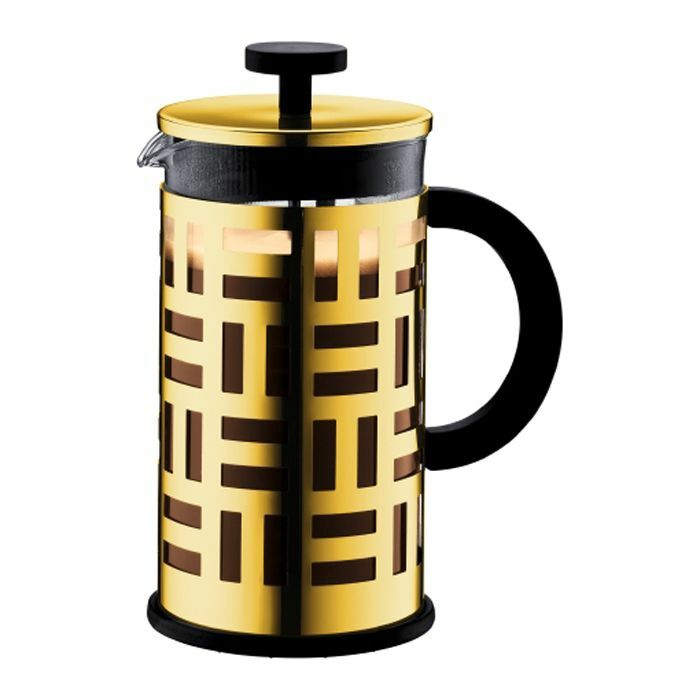 Enjoy your caffeine in style with this gold, art deco–ish take on a classic french press. Trust us. Just trust us. This ultra-feminine robe is a nice alternative to the terry variety, and who says you can’t look cute in loungewear?! Valley of the Dolls is a classic book that every girl should read, and if you are too busy to crack open a novel, it just looks darling on your bookshelf. This candle is pleasing not only to the eye but to the nose, as well. The brass container is sure to add a little bit of glamour to any table! We love a good bubble bath, and the pretty bottle doubles as bathroom décor. You have committed to a shoeless day, so keep yourself warm with the whimsy of a fun print like on these Goodnight Moon socks! Go fish! These gold cards are a clever way to jazz up a game of solitaire! How do YOU unwind on Sunday afternoon? Tell us in the comments below!